Symfony 3, the latest version of the open-source framework created by SensioLabs, released on November 30th, 2015. 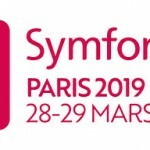 At the SymfonyCon Paris 2015, Fabien Potencier announced the arrival of the newest edition of Symfony. 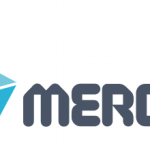 The news coincided with the 10th anniversary of the Symfony framework, currently used by many big companies in the world like Spotify or BlaBlaCar as well as 60+ open source projects such as Drupal, phpBB, or Prestashop which are either entirely built with Symfony or use its numerous components. Over the last ten years, there has been a significant increase in the Symfony community of approximately 50% per year and currently counts over 300,000 Symfony developers across the globe. The new 3.0 version of Symfony took more than a year to fine tune and prepare for market. Quite simply, it is the next logical step in the evolution of the framework and has done away with compatibility layers and lots of deprecated features. It is not a rupture in the continuity of the framework, rather a continuation of what previously existed. The latest version incorporates over 100 new functions that will help developers work faster and more efficiently. The migration from earlier versions of Symfony to Symfony 3 should be fairly simple and, in the event any clients or partners have issues, SensioLabs will offer new workshops to help ease the way. In addition, much help and advice can be found via the immense Symfony ecosystem on the website: http://symfony.com/doc. With over 1 million downloads per month, Symfony has become one of the most popular frameworks in the open source arena. More than 1,000 contributors have participated, contributing 40+ components and 2,700+ bundles. 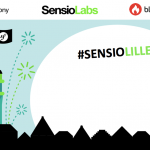 As a leading player in the Open Source community, SensioLabs strives to promote free software innovations and quality, affordable solutions to support them. The company is known for pushing the limits of PHP products that not only satisfy the needs of today’s worldwide web market, but pave the way for future innovations.